I must have written same kind of post from the Vancouver Olympics — actually I do remember writing something on this. But what can you do? 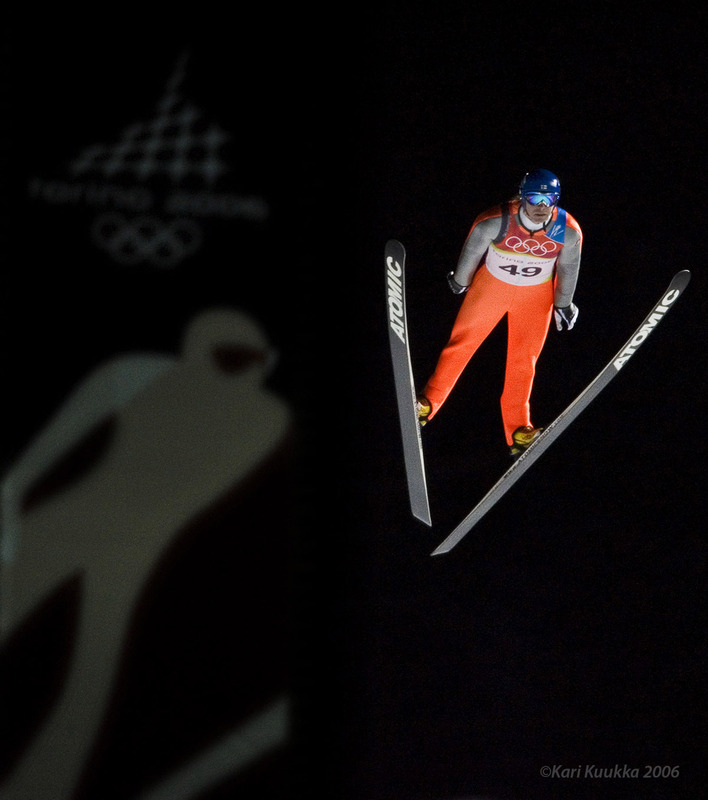 This is the fourth Olympics I am shooting… no I correct myself: it is the fourth time I have the honor of photo­graphing a living legend, ski jumper Janne Ahonen in the Olympics. I might have told this story before, but I remember — like eight years ago maybe, I was just getting into hand coding of panoramas and using them as a journa­listic medium — when I asked Janne to do a voice over for a piece I was working on. He was concent­rating for the competion which was about to startvand I asked Tommi, his coach at the time, if I could talk to him briefly. Janne listened what I had in mind and I assured it would only take five minutes of his time. And he agreed to do it. Right in the middle of a compe­tition. How many athletes would have just said “later”? Same thing four years ago . He was in a hurry but I despe­rately needed a VO for a multi­media piece I was building for the Vancouver Olympics in Garmish-Parten­kirchen. Again: he sat down, listened what I asked him to do and just simply did what I had asked. In a busy lobby of a hotel. And having met my share of sportsmen… I really, really respect this profes­sional attitude. A true pleasure to work with him. And I won’t even get into his record as an athlete — it is something I guess 99,99 and something percent of athletes can only dream about. 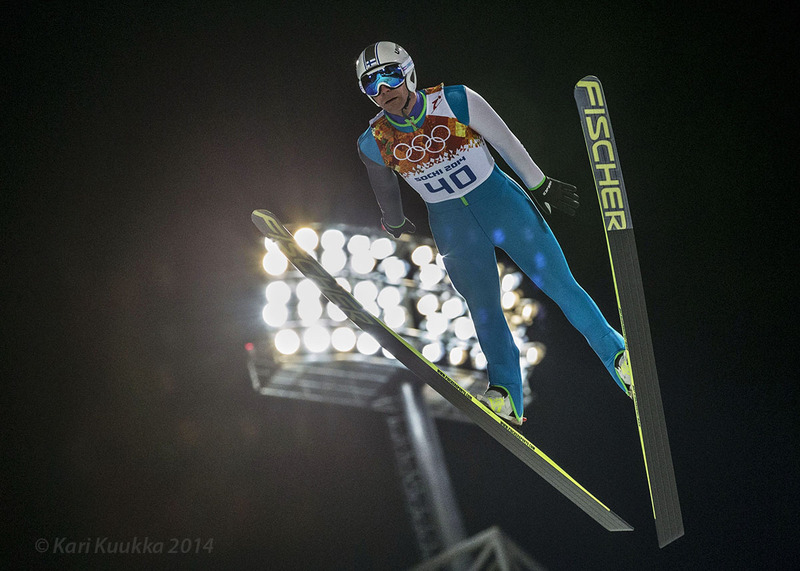 Anyway, yesterday to end a long day I did the ski jumping quali­fication. 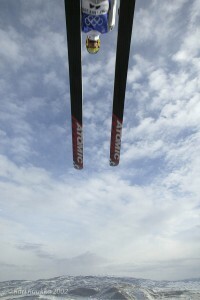 It is one jump only… so I only had one shot at it. That’s the image on the top of this page. I’m glad it worked out — well, in my humble opinion it did. 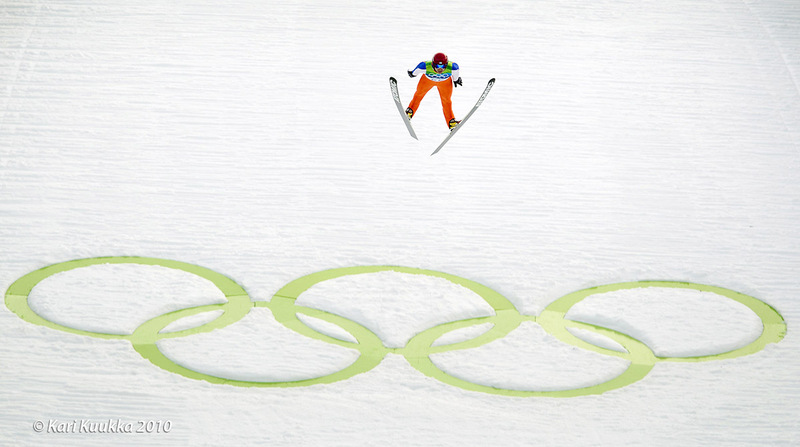 Here are my images from the three previous Olympics: Salt Lake, Torino and Vancouver. Great memories to go with each one of them. Absolutely amazing photo­graphy. Janne is indeed a legend. I was so pleased to hear about his announcement to come out of retirement.